FRESNO, CA – The Fresno County Clerk’s office will be announcing today the official results of its verification of the collection of signatures required to proceed with placing Measure W on the November ballot. 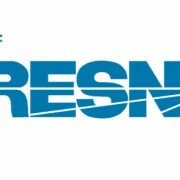 A City of Fresno Lower Water Bill Referendum, Measure W ballot question may be on the November 4, 2014 election ballot for voters in the city of Fresno in Fresno County, California. This referendum measure seeks to overturn a water rate hike proposed by Mayor Ashley Swearengin in August of 2013 that resulted in an average water bill of $48 per month for city residents in 2014 – double the rates from the previous year. The additional revenue was designed by the mayor’s plan to fund a $410 million upgrade to the city’s water system. A group of taxpayers called “Citizens of Lower Water Bills — Yes on Measure W” ran the petition drive to put the mayor’s water rate program to the test before voters at the fall general election. The petitioners survived multiple efforts from the city to stop the referendum, including a lawsuit. The Fresno City Council and Mayor Ashley Swearengin have vehemently opposed the effort to overturn their 2013 ordinance to increase the water rates in the city. Those opposed to the referendum and supportive of the city’s water rate hikes argue that the additional revenue is necessary to fund essential infrastructure improvements and updates for the city’s water system. They propose that making these improvements and updates before the system breaks down could save taxpayers large sums of money in the future. The city has even argued in its lawsuit against the petitioners that the referendum effort illegally obstructs the city’s duty to provide water services.